Do your eyes light up whenever you talk about SEO or the latest in Internet Marketing and Web Technology? Do you have an innate curiosity about the industry? If you’ve answered no, we advise you to stop reading and consider pursuing a career that you are well and truly excited to excel in. 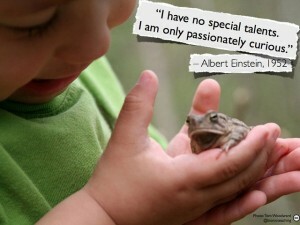 As the late, great Albert Einstein once said… “I have no special talents. I am only passionately curious.” If you’re genuinely passionate about all things SEO, you’re already on the path to success. But it is a long, winding path with many trials and tribulations… and only the toughest survive. So if you want to learn how to manage the bumps in the road we’re going to need you to pay close attention to the next 14 tips. A successful SEO Account Manager takes full ownership of their client account and accepts full responsibility for it. So, what exactly does this mean? It means coming prepared to staff meetings to share your knowledge, insights, challenges and game plans to improve client performance and always knowing the stats. Take advantage of the following free tools. If you want to really take advantage of them, however, you will have to pay. An account manager also constantly and consistently monitors their account as if it was their own profit-producing website. This involves overseeing all facets of the account to ensure the client and your colleagues are making progress and meeting deadlines. So, you’re going to have multiple clients and multiple projects all competing for your time. Is there an easy way to manage this? Well, you’ve really got to get it together, my friend. This goes back to time management and setting yourself reminders as well as reminders for client and colleague follow ups to ensure that the work gets done. You can’t let tasks pile up because consistent implementation has everything to do with effective implementation and results. Learn how to prioritize your tasks. There’s been quite a bit of debate as to whether or not multitasking hinders your work efforts. If it’s decreasing your productivity and quality of work, focus on one task at a time. Outlook Tasks/Flags – For old school and corporate Microsoft Outlook users to create a set of tasks. If you receive an important email, flag it and prioritize it. Never miss an important email. Apple Reminders – For IOS and Mac OSX users. Apple recently centralized all its products across its platforms. Create a reminder on your iPhone or iPad and be reminded on your Mac in the office. Good ol’ Paper and Pen – Some people simply prefer writing things down by hand. Create a priority list from the moment you arrive to the office. Separate by client and use Highlight the tasks that require immediate attention. Mark off as you complete. Know your client – Some clients require more attention than others. Some sign off an email with a “peace” and others with a “best of regards”. Others treat emails like text messages. Learn their written and spoken mannerisms and don’t say “my bad” if something ever goes wrong. When in doubt, be who you are, be a professional. It’s all about asking the right questions, sharing and ensuring the client stays in the loop at all times. This kind of nurturing will yield greater client satisfaction and ultimately, retention. Deadlines are meaningless if they aren’t taken seriously. If you’ve been assigned a task for a particular date, resist the temptation to push the date back on your electronic calendar. The task has a due date for a reason. It doesn’t exist in a vacuum. It is part of a greater process and missing the due date hurts the process. Create an execution schedule and strictly adhere to the set deadlines to ensure that all commitments are met on time. Be realistic about the dates you set yourself. It’s always better to under-promise and over-deliver. If you need to give yourself a series of mini deadlines leading up to the deadline itself, do it! These mini deadlines will not only help you overcome any time management woes but will also prevent procrastination, decrease stress levels and boost productivity. It’s also a wise idea to set up reminders using services like Memo-to-Me which allow you to receive email, even mobile and pager alerts if you’re away from the computer. You’ve probably seen this attribute under ‘Job Requirements’ for this position. But what exactly does it mean? It really comes down to watching everything you say and do with a hawk’s eye. Clients don’t want to read proposals, presentations reports and strategy documents with poor grammar and spelling mistakes. This will not only make you look unprofessional but will also diminish your credibility. The client will start to doubt everything you have to say to them. You also need to pay close attention to what your colleagues present to the client too because you are ultimately responsible for their errors. Is the keyword research completed by the SEO specialist accurate and relevant? Are the articles that your copywriters have written up to par? Is design on track? Is the Execution Plan and Schedule on track? Online marketing is a fast paced industry. Google’s ranking rules are constantly changing and you need to either keep up or risk falling behind. SEO Account Managers grow and prosper by having a thirst for knowledge. Always checking the latest news and trends is critical. This really comes down to being truly passionate about what you do. The desire to know how things work, explore and learn can only come from within. Subscribe to the thought leaders in the industry and stay up to date with best industry practices as well as gain unique ideas and perspective. Network with them on Social Media networks like Twitter and engage in discussions with them. The only way to be an expert is to read and learn from the experts. It’s also important to not only be an expert at what you specialize in but to also make an effort to be well rounded in all aspects of the company. Better yet, to share your insights with your team so they can grow too! SEO Account Managers with exceptional talent always go that extra mile for the client. They understand that SEO cannot only be about visibility and driving traffic; it’s about conversions and unless you drive traffic and conversions your clients will not be clients indefinitely. This means putting in the hard work and long hours… but it will eventually pay off. Aside from the money, however, great account managers develop empathy for their clients. They understand that these clients come to them in times of need, often times disappointed, frustrated and even angry over past poor results. They need you to succeed for them. Brilliant account managers are sympathetic and compassionate about the client’s situation and do everything in their power to make things right for them. Simply, know how to maximize those results by following the existing proven processes as well as those that are always evolving in this ever-changing environment. … Not what they want to hear. Clients can at times be intimidating. But it’s important you stay true to yourself and the client. Don’t be a Yes Man. They will appreciate your integrity. At the same time, however, it’s important to listen and hear the clients concerns rather than automatically dismissing them, or worse yet, talking over the top of them. Understand their concerns, come to a mutual agreement and move on. This is where the art of listening comes into play. Clients won’t respect or even listen to you the way you wish unless you demonstrate to them that you are listening and valuing their words. Kind of makes sense, doesn’t it? 10. The Internet Marketing Company Does NOT Pay Your Salary; the Client Does! Need I say more? Yes, the check has your company’s name on it but never forget that the check is just not possible unless the client is continuing to get the results, the support, the expertise and the leadership that you provide. The client writes the checks that make your check possible. Very fundamental stuff! 11. Don’t Worry, Be Happy! Never spend hours figuring out how to complete one single task. You’re not only going to waste your company’s resources but you will also frustrate your boss who is all about productivity! Ask for help if you’re ever unsure. It’s okay to ask questions. But try not to ask the same questions twice. The ability to learn quickly is essential. Find a way to efficiently and effectively work through your daily and weekly tasks. Our industry is constantly changing. That’s why it’s important that you provide ongoing feedback and suggestions to your boss. He or she is constantly on the lookout for ways to improve their processes and methodologies. Don’t just accept things the way they are. Speak up! You never know, if you successfully implement a process or methodology that makes your clients and company a lot of money, guess who’s going to benefit? You! Ka-ching! Optimum7 SEO Account Managers have successfully managed a diverse range of clients and industries. Contact Us for an initial, no obligation consultation today!